STAR WARS: REBELS IS BACK ON TV! We have watched the first 2 episodes, and the whole family is really excited about where this season is heading! Now, I’m sorry for not writing the past few weeks. Things are a bit crazy around here, and I expect they will be for a while. So unfortunately, my posting schedule will be lighter than usually – probably until the new year. Keep checking in though! 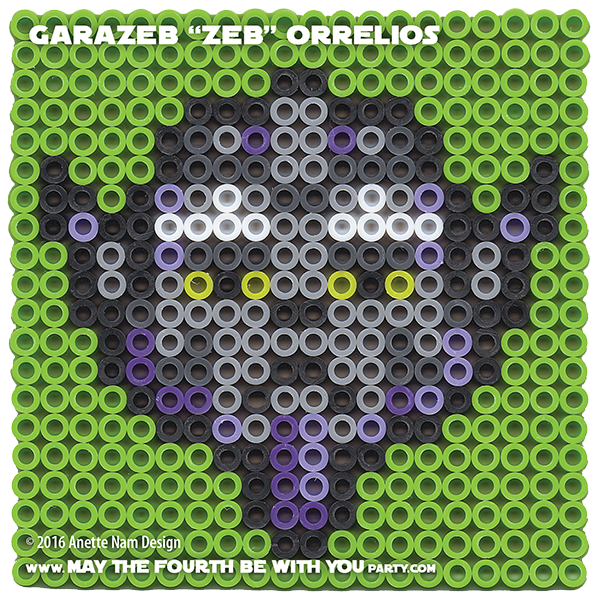 I have all the Star Wars: Rebels pieces completed, and I will keep posting those. 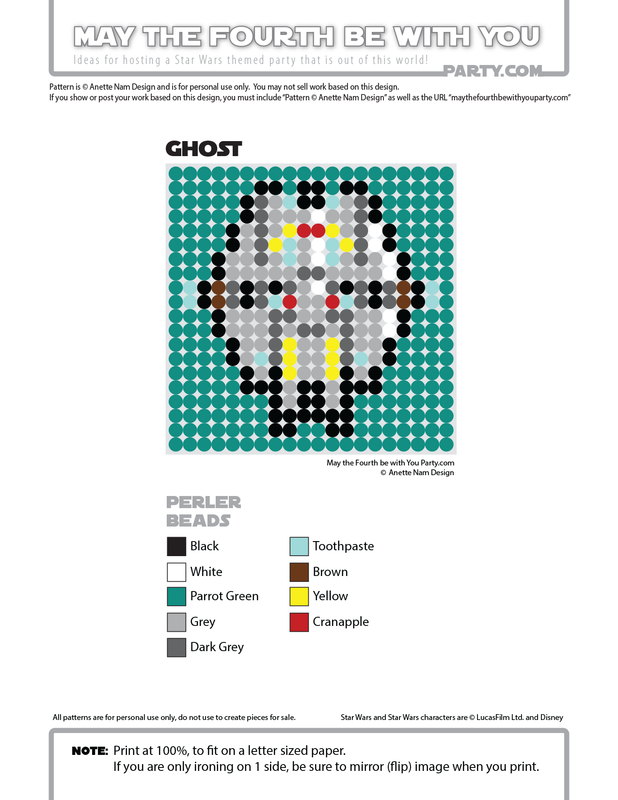 After that, we are on to the Rogue One patterns…. I can’t wait!!! 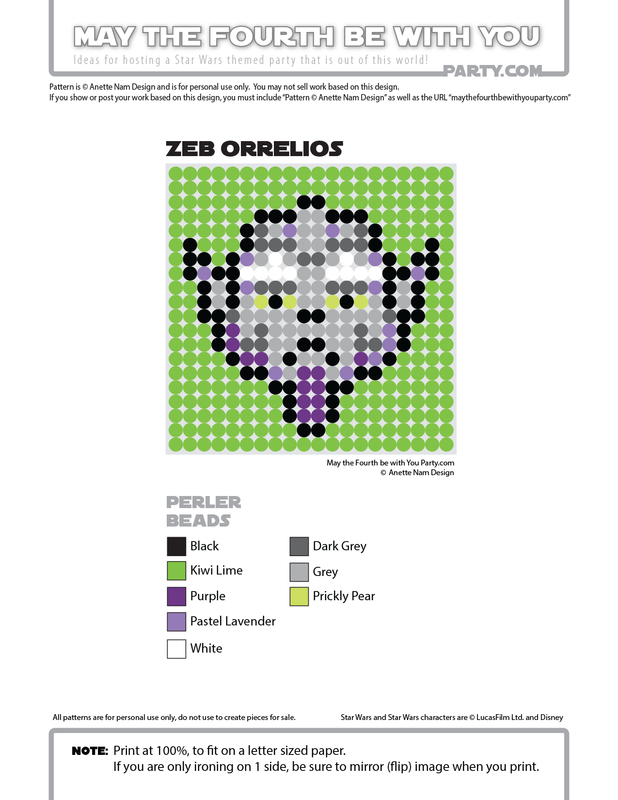 Zeb is #65 in the Perler bead/cross stitch/crochet/knitting/Lego/pixel/mosaic pattern series.